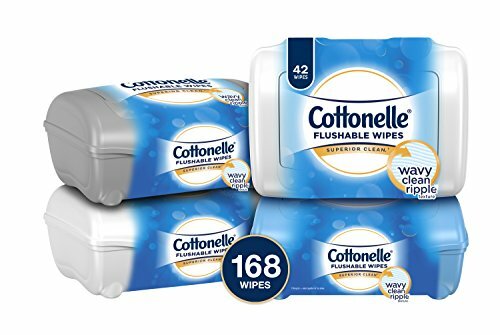 For the ultimate fresh and clean feeling, choose Cottonelle Flushable Wipes. Now with a NEW Wavy CleanRipple Texture, Cottonelle Wipes give you a superior clean that's fresh, gentle and effective. These bathroom wipes are 100 percent flushable, remove odor-causing bacteria and offer a large, dual layer to clean better. Plus, they break down six times faster than Dude Wipes and are 50 percent Stronger than the leading national value brand. Cottonelle septic-safe wipes are available in peel-and-reseal soft packs, on-the-go packs, refill bags and refillable pop-up tubs to meet all your personal care needs. Complete your bathroom routine with Cottonelle Toilet Paper – now three times Stronger, three times thicker and three times more absorbent than the leading national value brand. Cottonelle participates in sustainability through partnership with the nature friendly company FSC to ensure its materials come from responsible sources that support forests around the globe. Cross bathroom wipes off your shopping list and order Cottonelle Flushable Wipes in bulk.